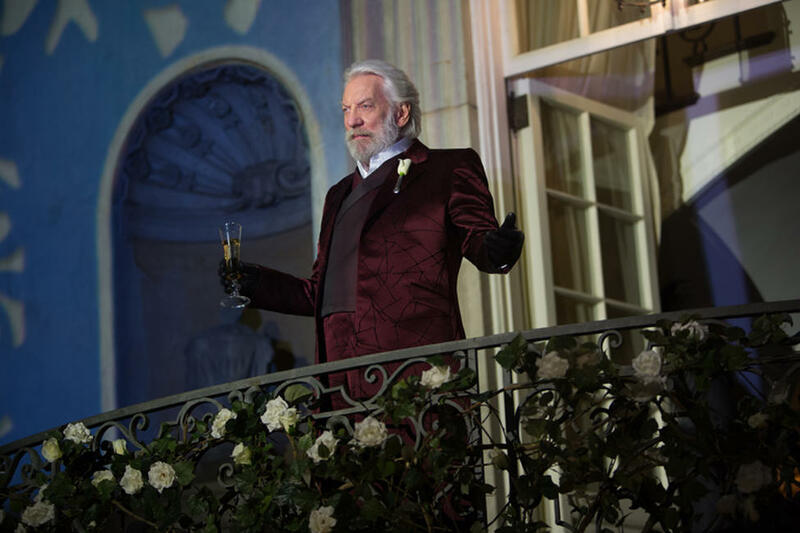 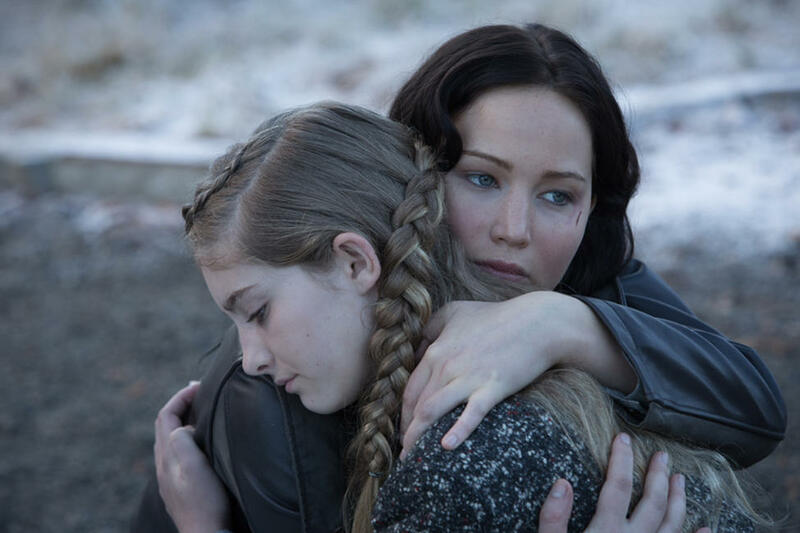 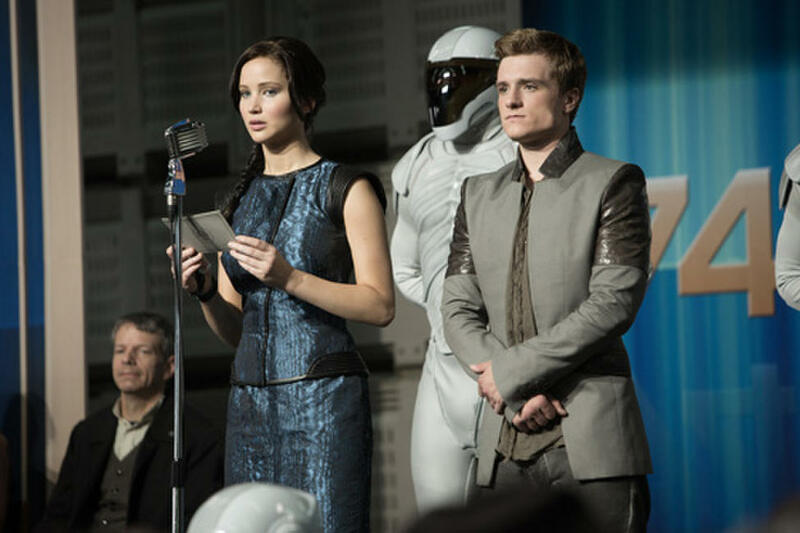 A scene from "The Hunger Games: Catching Fire." 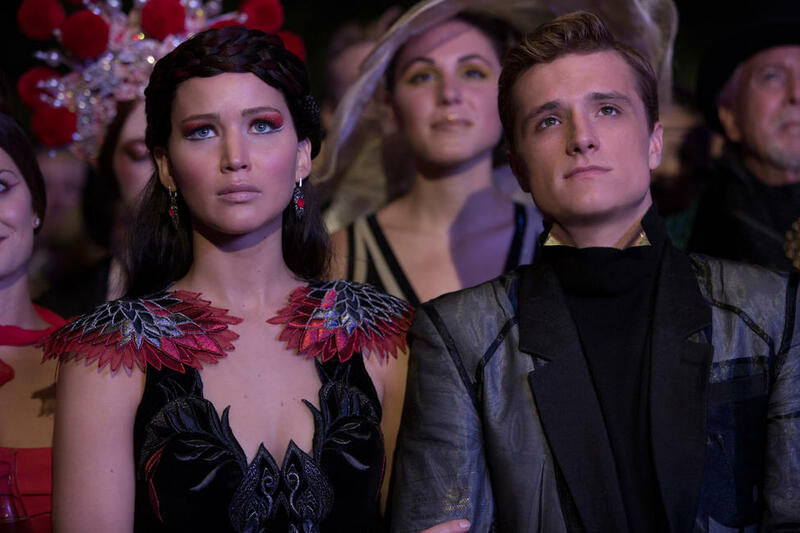 Jennifer Lawrence as Katniss Everdeen, Elizabeth Banks as Effie Trinket and Josh Hutcherson as Peeta Mellark in "The Hunger Games: Catching Fire." 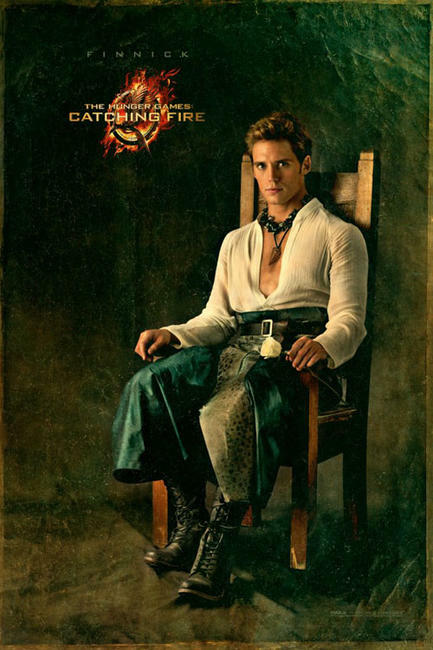 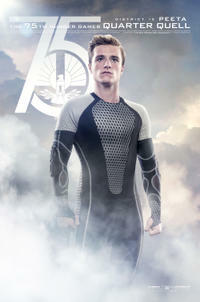 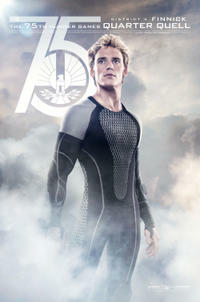 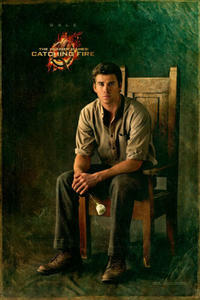 Sam Claflin as Finnick in "The Hunger Games: Catching Fire." 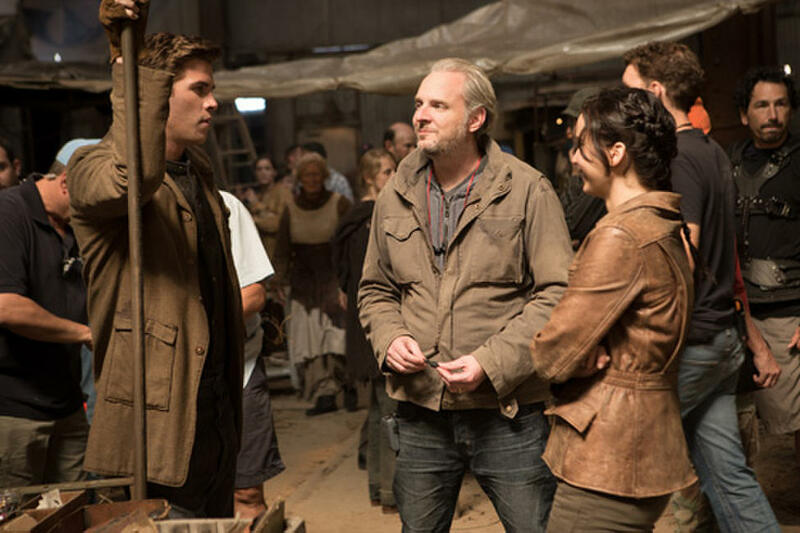 Behind the scenes of "The Hunger Games: Catching Fire." Jennifer Lawrence in "The Hunger Games: Catching Fire." 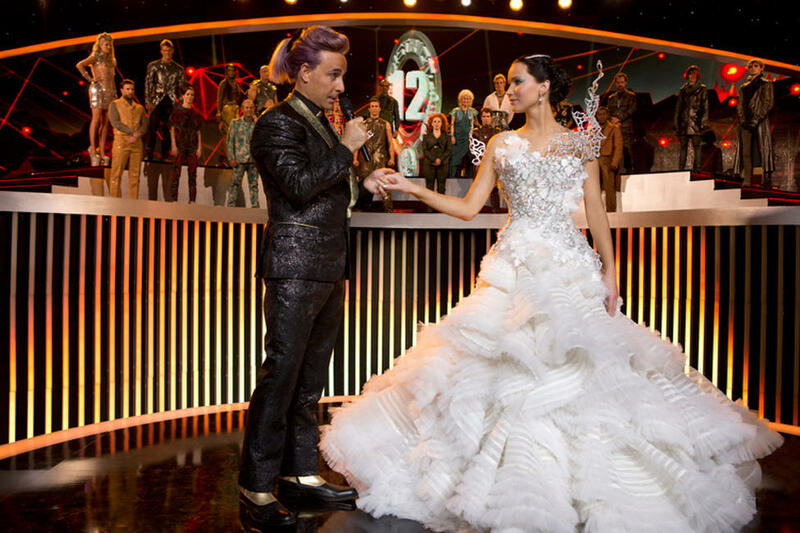 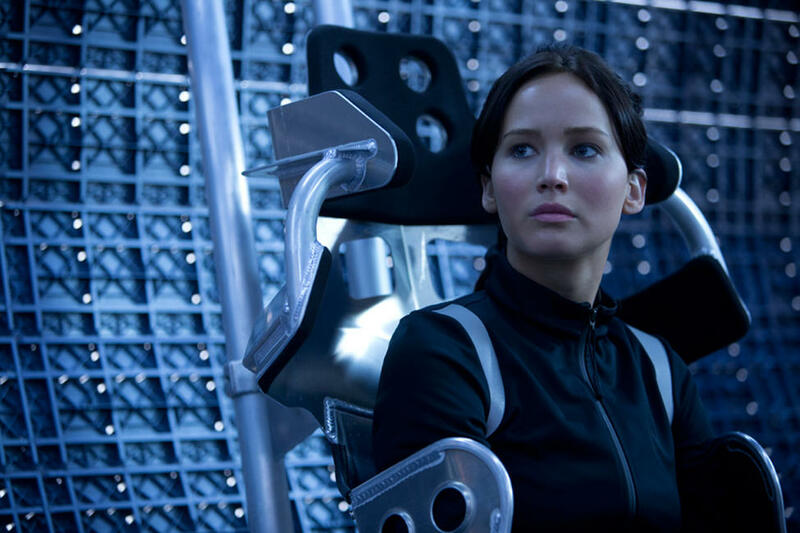 Stanley Tucci as Caesar Flickerman and Jennifer Lawrence as Katniss Everdeen in "The Hunger Games: Catching Fire." 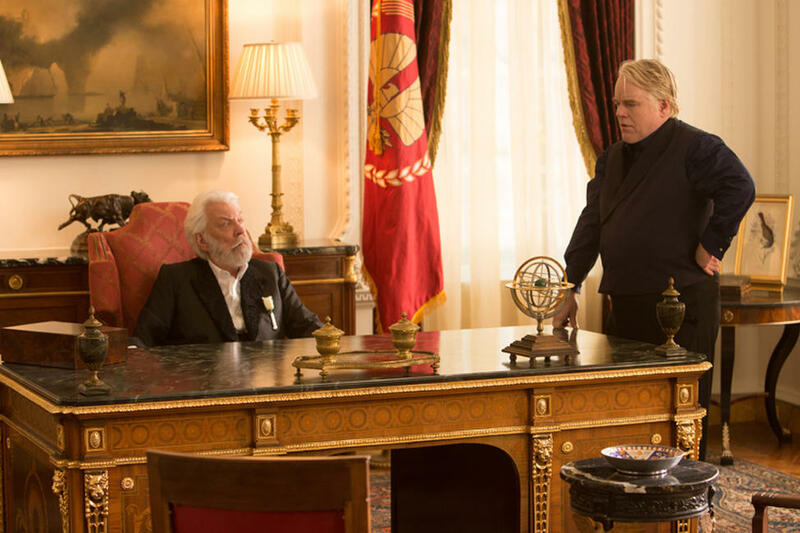 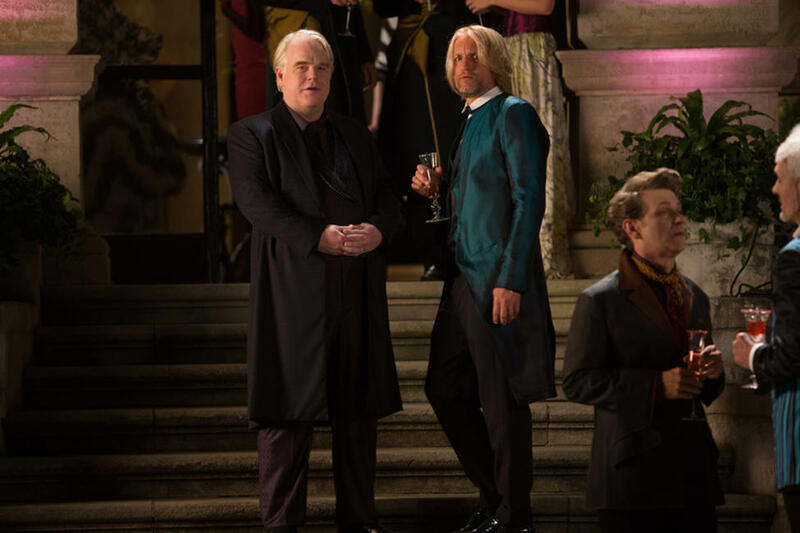 Philip Seymour Hoffman as Plutarch Heavensbee and Woody Harrelson as Haymitch Abernathy in "The Hunger Games: Catching Fire." 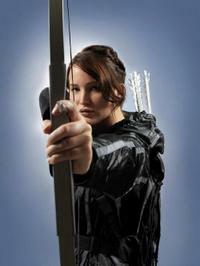 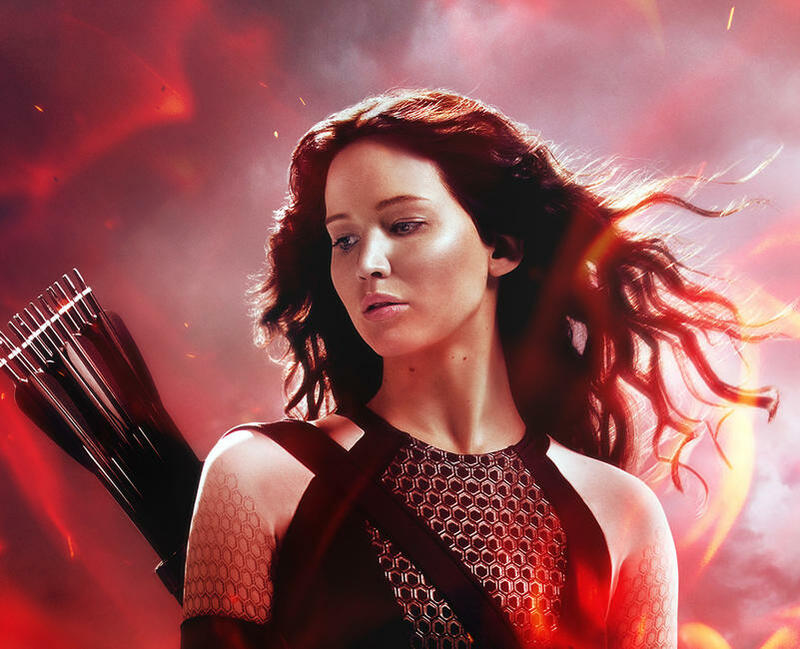 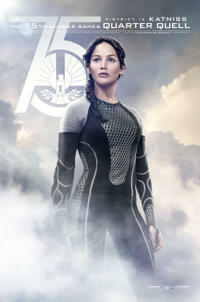 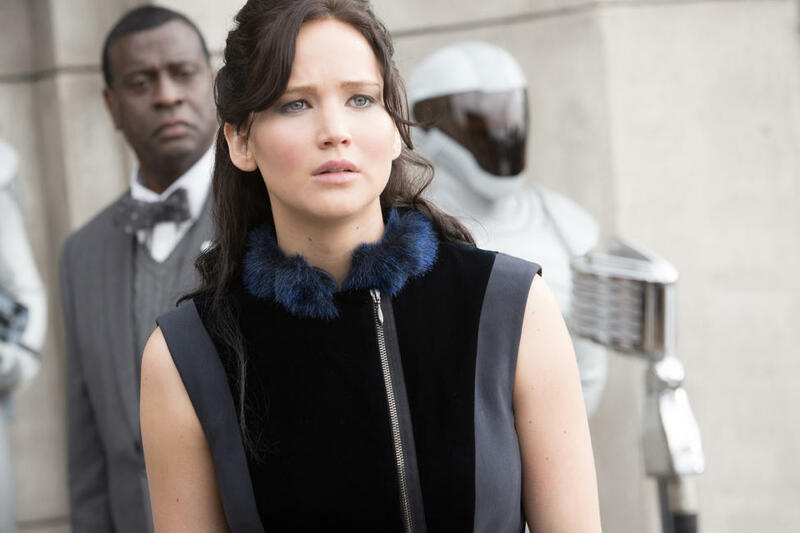 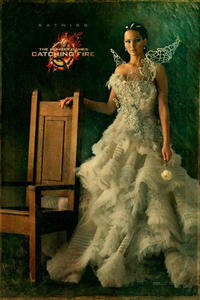 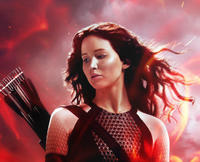 Jennifer Lawrence as Katniss Everdeen in "The Hunger Games: Catching Fire." 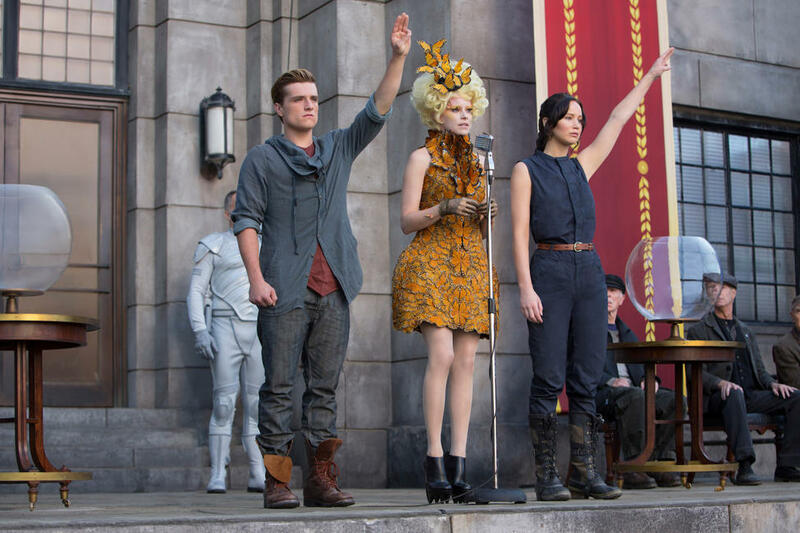 Josh Hutcherson as Peeta Mellark, Elizabeth Banks as Effie Trinket and Jennifer Lawrence as Katniss Everdeen in "The Hunger Games: Catching Fire." 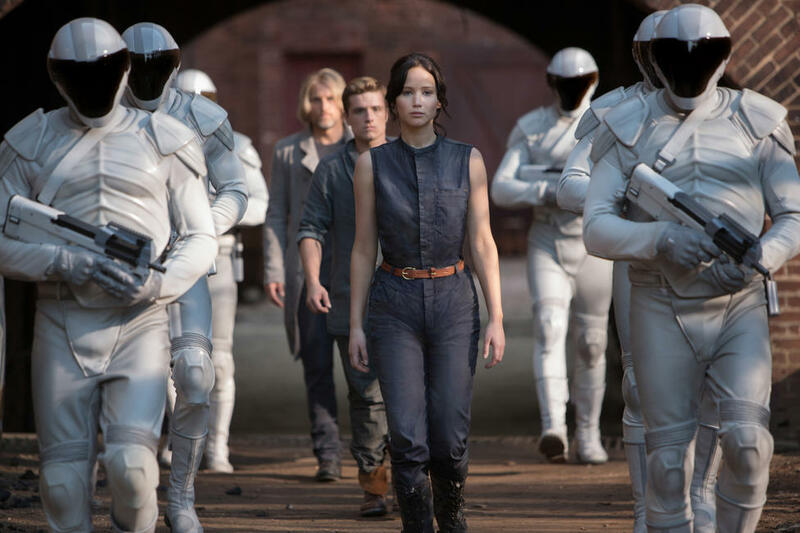 Jennifer Lawrence as Katniss Everdeen and Josh Hutcherson as Peeta Mellark in "The Hunger Games: Catching Fire." 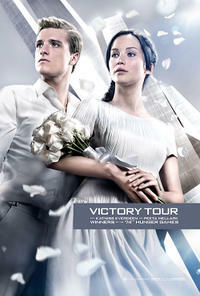 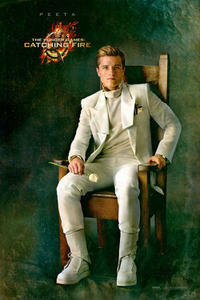 Josh Hutcherson as Peeta Mellark and Jennifer Lawrence as Katniss Everdeen in "The Hunger Games: Catching Fire." 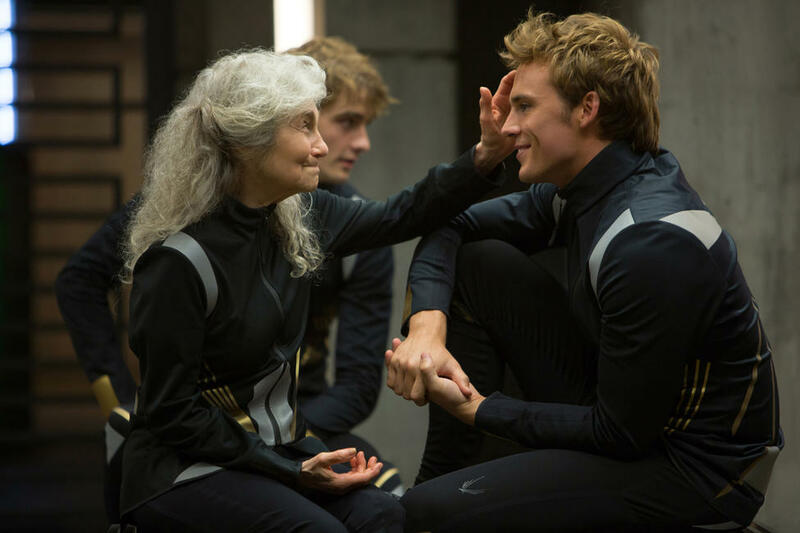 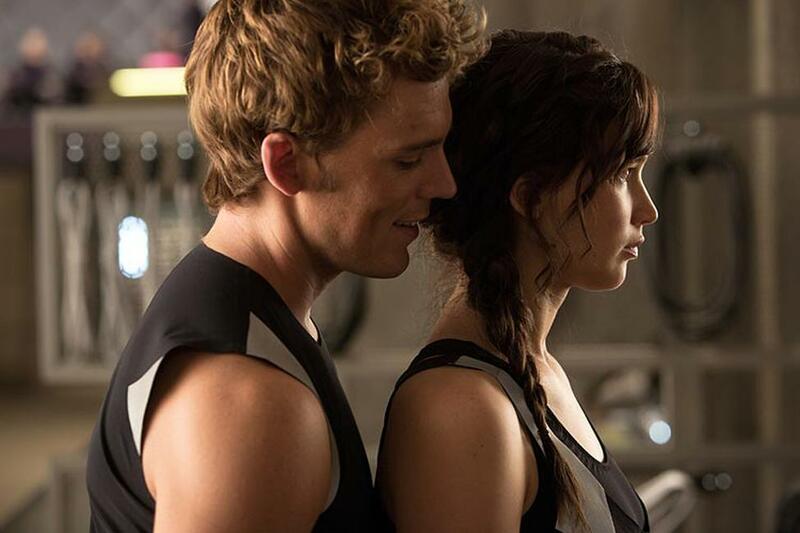 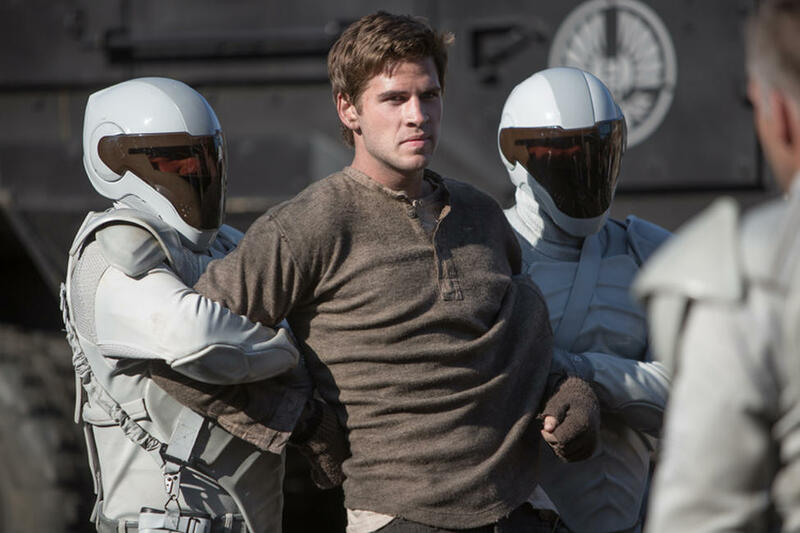 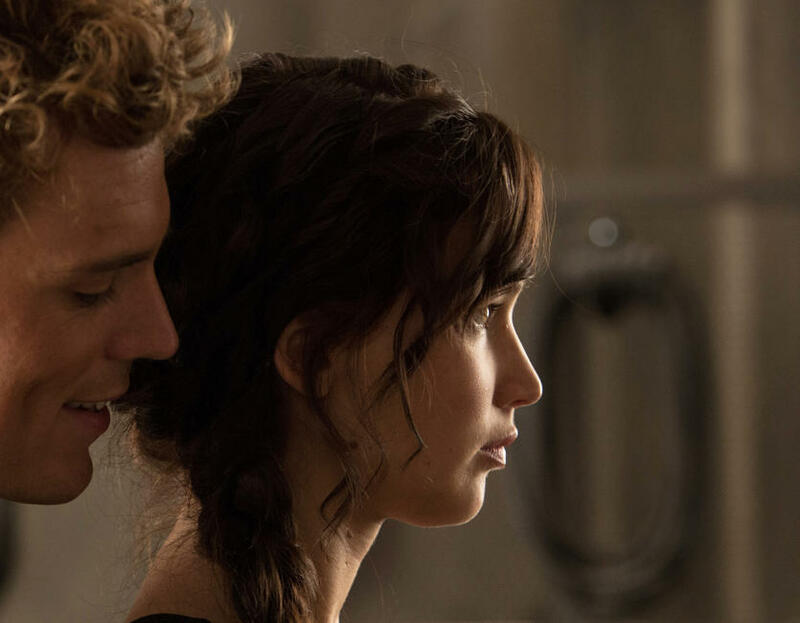 Lynn Cohen as Mags and Sam Claflin as Finnick Odair in "The Hunger Games: Catching Fire." 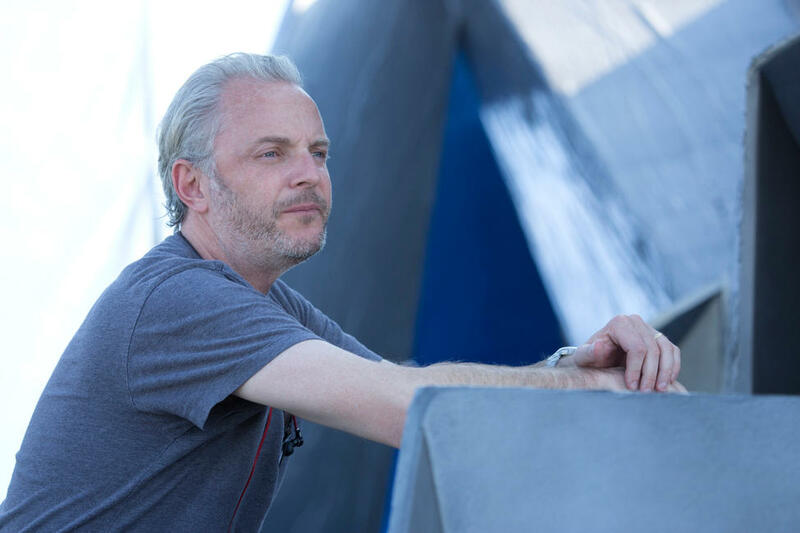 Director Francis Lawrence on the set of "The Hunger Games: Catching Fire." 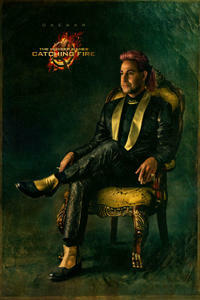 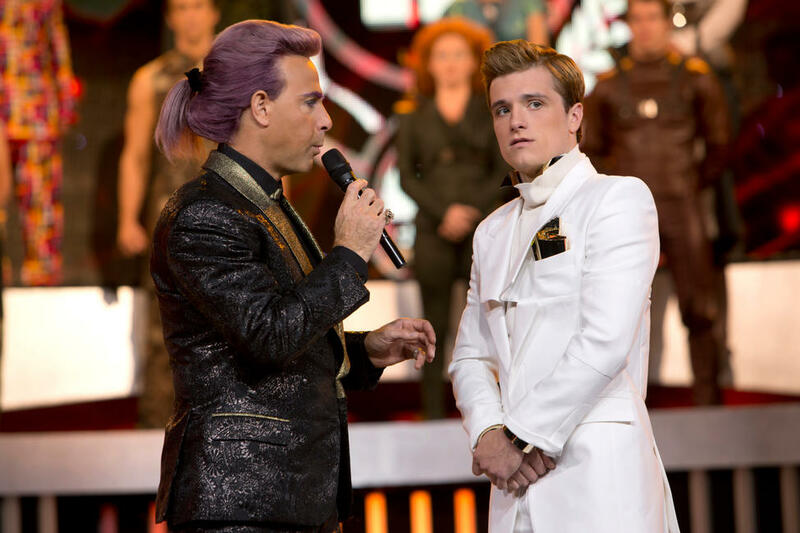 Stanley Tucci as Caesar Flickerman and Josh Hutcherson as Peeta Mellark in "The Hunger Games: Catching Fire." 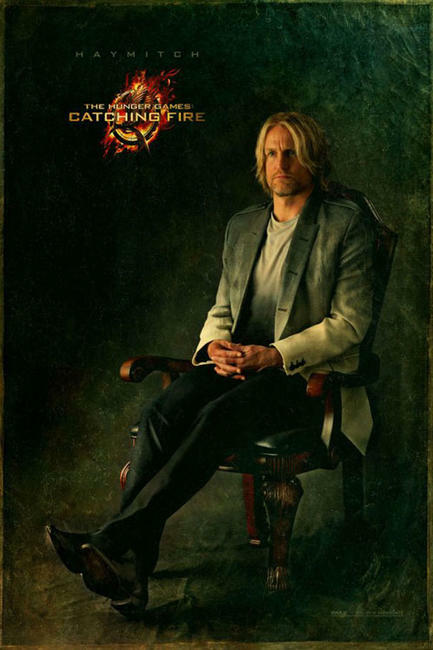 Woody Harrelson as Haymitch Abernathy, Josh Hutcherson as Peeta Mellark and Jennifer Lawrence as Katniss Everdeen in "The Hunger Games: Catching Fire." 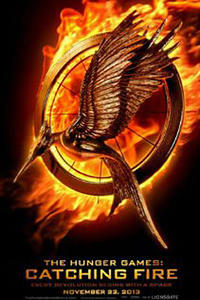 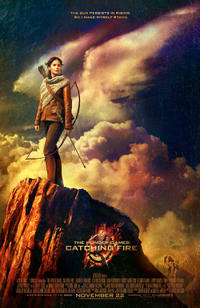 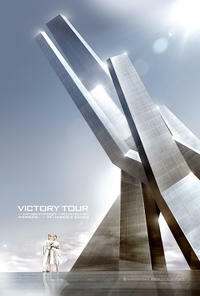 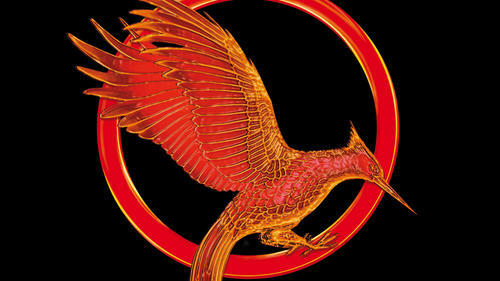 Poster art for "The Hunger Games: Catching Fire." 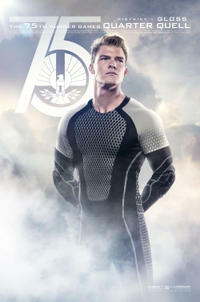 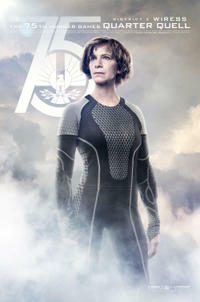 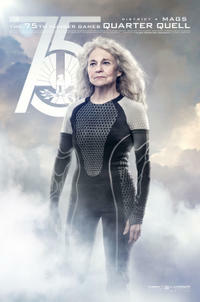 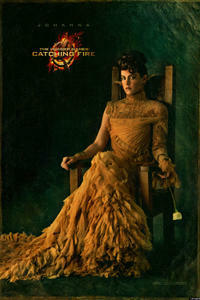 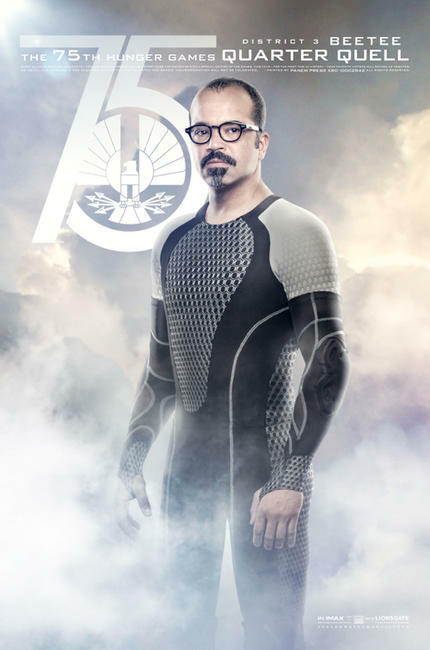 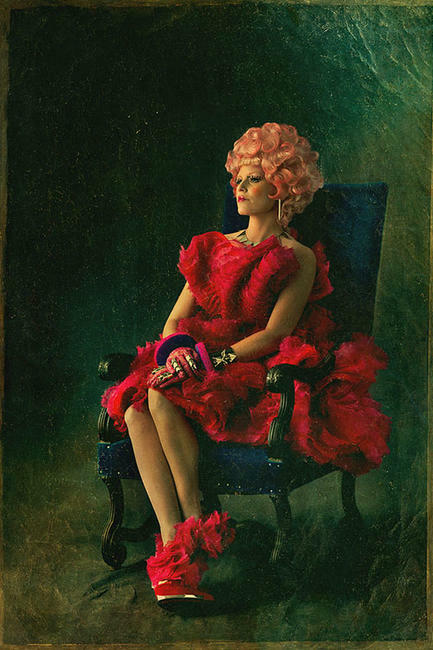 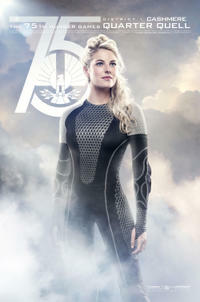 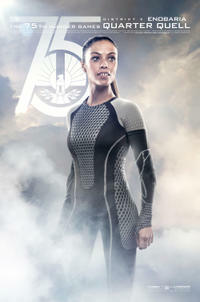 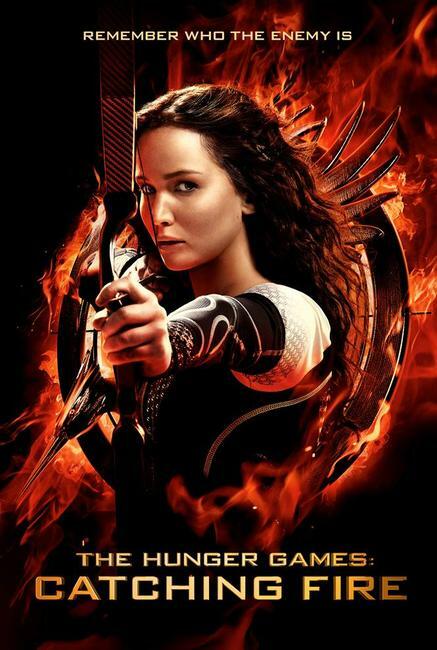 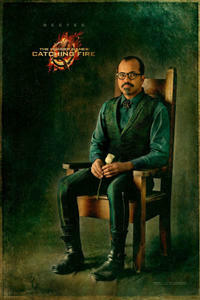 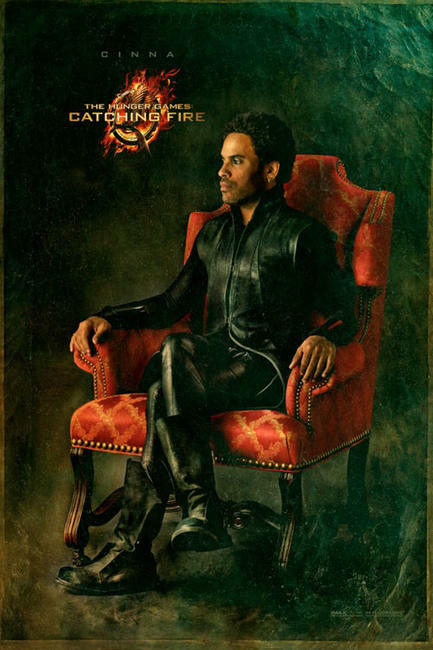 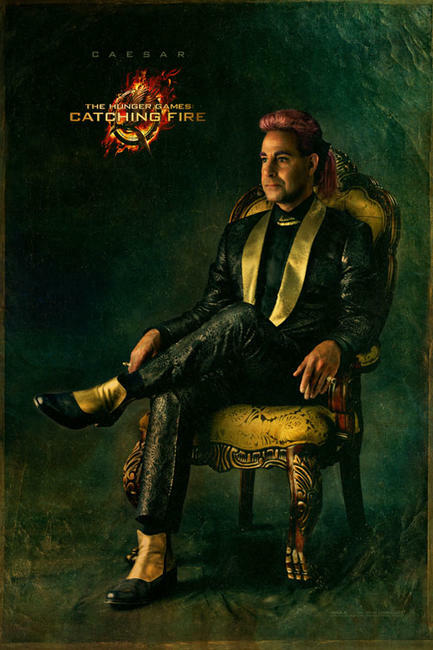 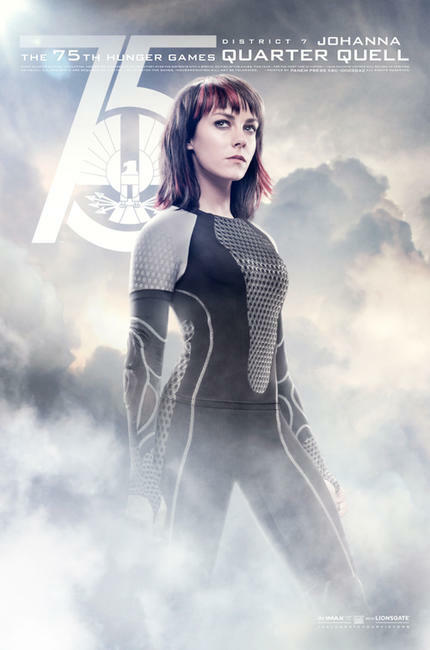 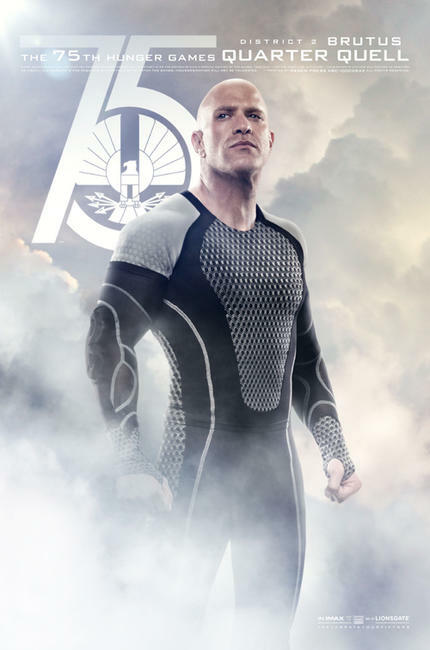 Character poster for "The Hunger Games: Catching Fire."